Size: 15" length x 8 1/4" width x 5" height. 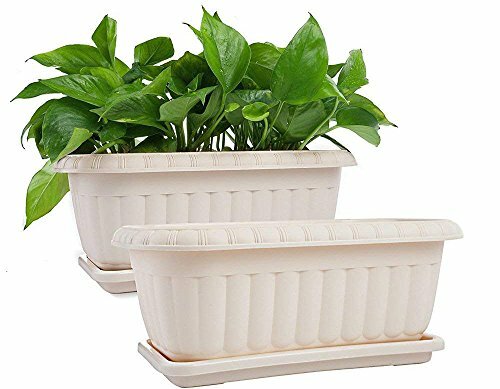 Easy maintenance--they have functional bases on the bottom and the removable draining tray, helping drain water and assisting the plant roots in breathing. Pot is 15" in length, 8 1/4" in width and 5" in height.